So here I am, writing a post on Canada Day, lounging in front of my fan in this rare heat that has kind of killed me over the last few days and I’m quite excited about it, as far as these things go. After classes being out for two months, I haven’t been doing any full-on mall shopping and therefore I hadn’t been to either MAC or Sephora in ages so when I went in town early yesterday, I picked up a few pieces here and there – and they added up but not in a crazy sort of way. I had the rare opportunity to browse my local MAC shortly after it opened with only one customer in the store in addition to myself and in other words, I was able to take my time browsing and talking to the helpful makeup artist because for once it wasn’t hectic and crazy busy. T’was divine. The shadows were what I had planned to be looking for when I dropped in, as I’m so close to filling up my palette and am rather satisfied about that fact but lately I’ve been looking after something with the least amount of faff to define and control my brows, even when I’m wearing the most minimal of makeup that would actually suit my weirdly ashy brows; with this in mind, I was quickly sold on the MAC Pro Longwear Waterproof Brow Set in Quiet Brunette ($21) and so far, I’m impressed. Whilst the shade isn’t quite as ashy and grey-toned as my beloved MAC Coquette Eyeshadow, it doesn’t veer anywhere near the neutral or warm side of things and considering that this was the first time that I fully applied the product, I did a horrific job applying the brow gel (err, I got a clump on my skin and didn’t get it in time) and it doesn’t look entirely horrible, things look promising. 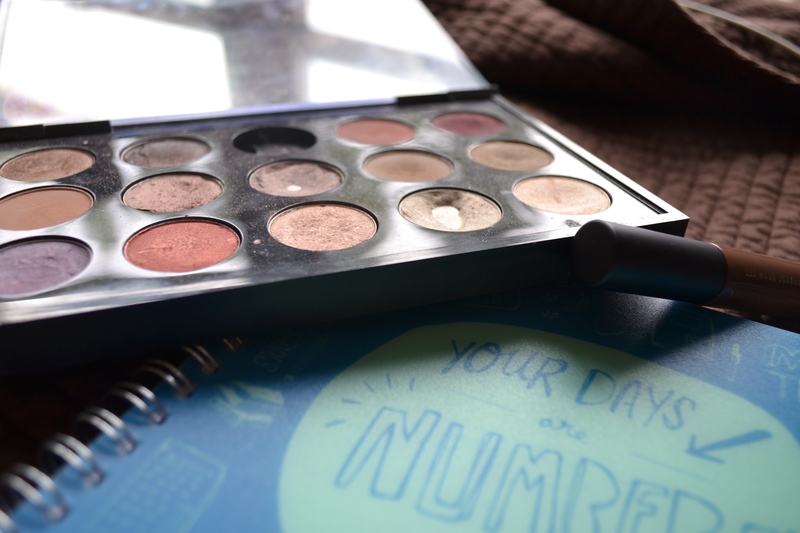 I wore this yesterday and I would hazard a guess that it’s actually as waterproof as they say and it seems to fit the bill with subtly defining the brows in seconds while feeling and looking absolutely natural. 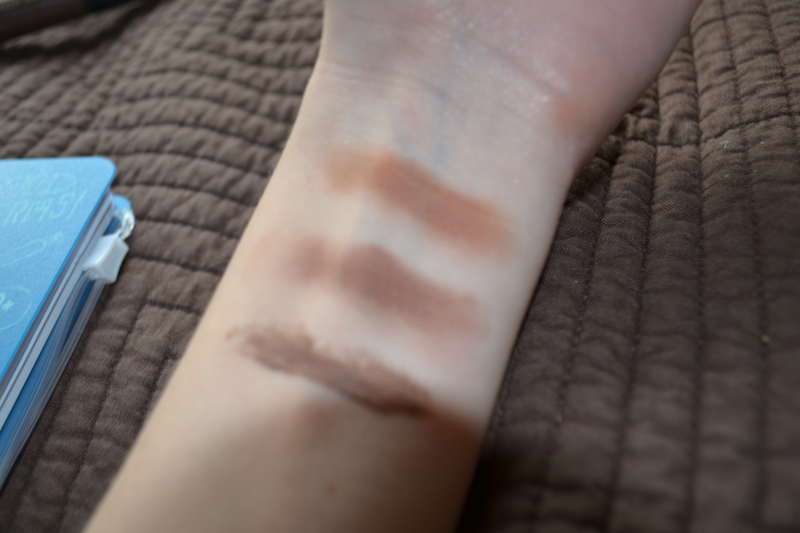 The name of the shade is beyond accurate too, having enough ashiness for light brunettes without being insanely dark like many cooler-toned products. Obviously, the urge towards completing the shadow portion of my MAC Duo Palette was not forgotten and I came out with two shadows that are very different from the shades that I already own and they strike me as versatile rather than exciting like my usual choices. I was telling the makeup artist helping me (she was fabulous, by the way) that I have a good number of the popular MAC shades but tend to skimp on some staple shades and asked her for some of her staple shades. From talking to her, I happily came away with two warm matte brown shades, my first actual transition colour, the cult favourite light-medium warm tan Soft Brown ($12) and the dark but warm reddened chocolate brown that is appropriately-titled Swiss Chocolate ($12). P.S. 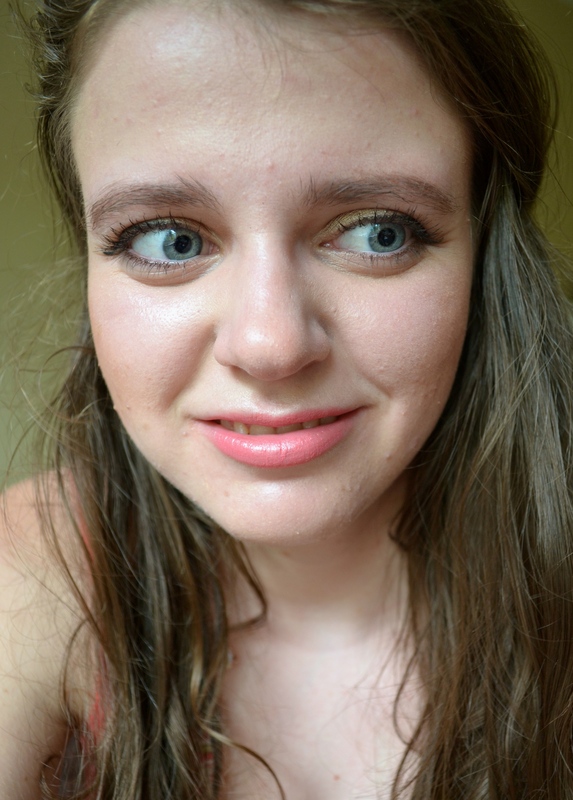 I’m not going to address the questionable eyeliner situation more than this: I was tired and too lazy to fix it up. I’m aware. Have you tried any of these products? What have you picked up at MAC lately?